This patent is held by George W. Parker. While the Stockwell / Parker Photograph Gallery was probably short lived (less than two years), the partners likely maintained an ongoing business relationship. Stockwell's camera (left) is different Parker's but the plate changing system matches. It may be that Stockwell only licensed the transfer system for use on his own camera. 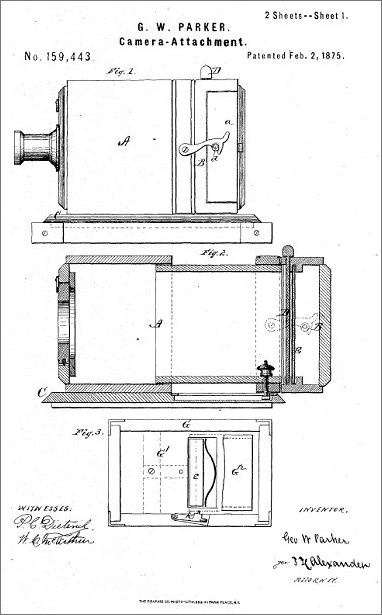 The illustration above shows a sliding-box, fixed bed camera. 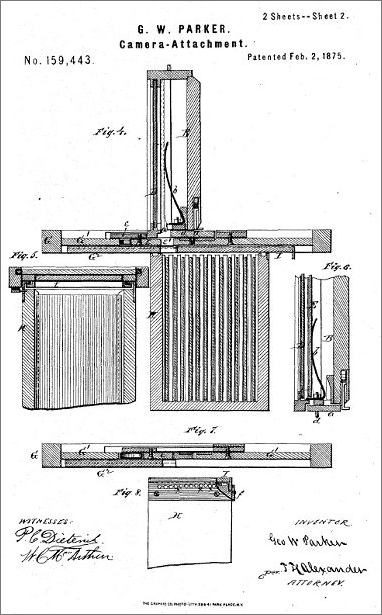 It does not match the folding bed, bellows version by Stockwell but is designed to use the plate transfer system. The external plate holder is attached to the body using a pair of hooks. The plate transfer system illustrated on the second patent page matches the plate box and dry plate holder found with the Stockwell camera. Unfortunately the intermediary transfer mechanism is missing. Plates are loaded or unloaded by flipping the entire assembly. 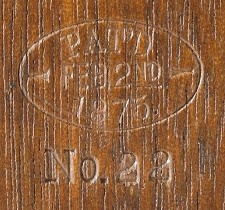 The pat'd date on the plate box is the same as the patent date. This would indicate that some type of agreement was in place for Stockwell to use the design with his camera.